Important polychrome woodblock print of vertical large oban (大判) format made in a period between 1818 and 1830 by the famous artist Keisai Eisen (渓斎英泉). 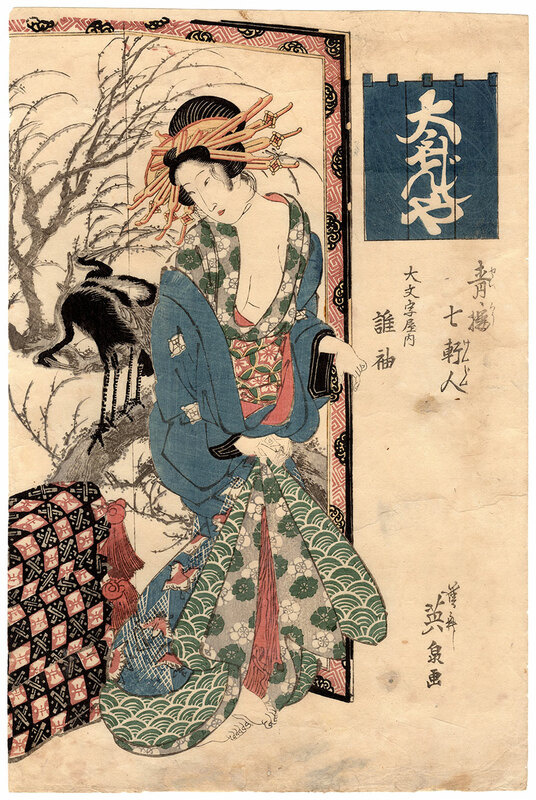 The protagonist of the work is the courtesan Tagasode (誰袖) of the Daimonjiya (大文字屋), a pleasure house in Edo (江戸) which functioned also as a literary salon, a meeting place for kyoka (狂歌) poets. 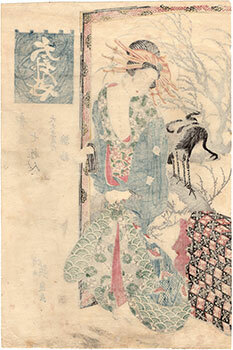 Behind the woman, an elegant byobu (屏風) screen depicting a pair of white-naped cranes (マナヅル) and a plum tree (梅). 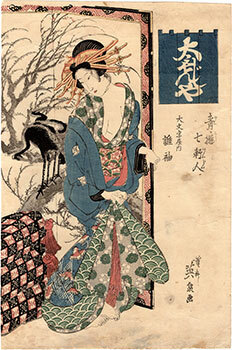 The print, produced by the publisher Izumiya Ichibei (和泉屋市兵衛), owner of Kansendo (甘泉堂), is taken from a series entitled "Seiro Shichi Kenjin" (青樓七軒人), a play on words that alludes to the "Seven Sages of the Bamboo Grove" (竹林の七賢) and that in the West is translated "Seven Houses in the Pleasure Quarters". 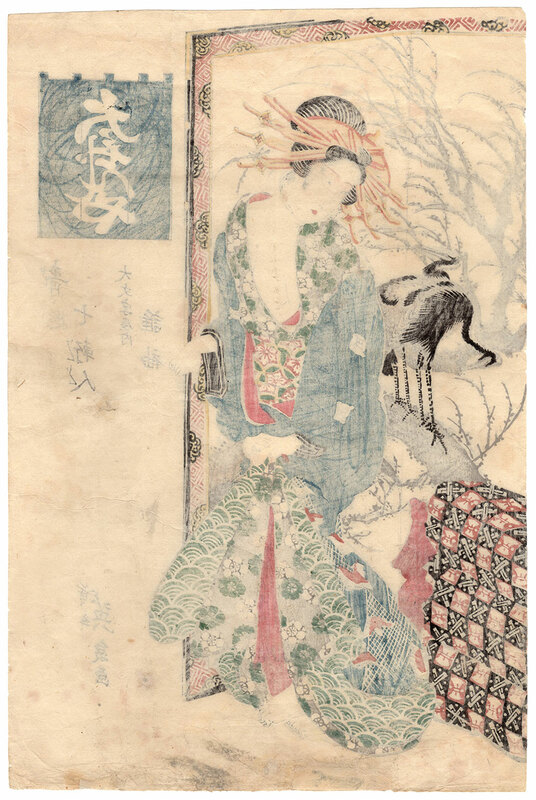 The rare woodcut on Japanese washi paper (和紙), despite the right signs of aging including stains, worm-marks and restorations, still maintains its charm intact.